Franchising can be an excellent way of expanding a business, however it does not always go according to plan. To maximize the benefits of having a franchise network, there are a number of key areas franchisors should focus on. In many smaller companies, Business Plans are often developed at the outset of a project and seldom reviewed or updated. 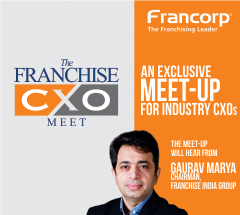 At Francorp, we expertise in developing a firm foundation for the future through our Franchising plans. Also, most of the franchisors lose sight of the reason why one is franchising as they are unable to allocate time to review the reasons and benefits of their franchise strategy. Francorp’s expert consultants structure clear short, medium and long term objectives to be achieved from a franchise network. 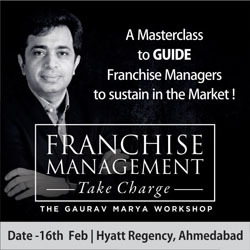 It requires sufficient resources, time and budget to manage a franchise network effectively. 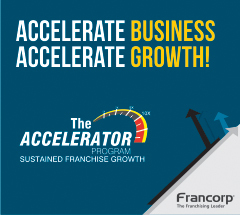 Francorp also enables you to recruit more franchisees and get the best out of your expansion plans.